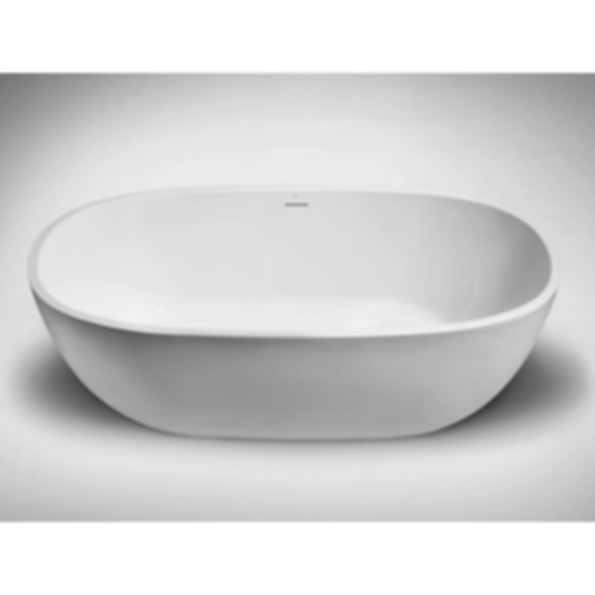 Siena·2 seamless one-piece freestanding acrylic bathtub offers a transitional oval shape that will coordinate with any bathroom design. This soaker tub's ergonomic symmetrical sloped ends provide bathing comfort while the integral slot overflow contributes to its minimalist appeal. Available in new matte or classic gloss finish. Sister siena·1 model offers a smaller footprint at 59" x 28¼" x 23¼".